Each year, millions of adults and children are injured to to accidental falls. Falls can cause moderate to severe injuries, such as hip fractures and head traumas, and can increase the risk of early death in older people. Fortunately, falls are a public health problem that is largely preventable. One-third of Americans aged 65+ falls each year. Every 13 seconds, an adult is treated in the emergency room for a fall; every 20 minutes, an older adult dies from a fall. Falls result in more than 2.5 million injuries treated in emergency departments annually, including over 734,000 hospitalizations and more than 21,700 deaths. In 2013, the total cost of fall injuries was $34 billion. The financial toll for falls is expected to increase as the population ages and may reach $67.7 billion by 2020. Make homes safer by reducing tripping hazards, adding grab bars inside and outside the tub or shower and next to the toilet, adding railings on both sides of stairways, and improving the lighting in their homes. Ask their doctor or pharmacist to review medicines—both prescription and over-the counter—to identify medicines that may cause side effects or interactions such as dizziness or drowsiness. Have your eyes checked by an eye doctor at least once a year and update their eyeglasses to maximize their vision. Consider getting a pair with single vision distance lenses for some activities such as walking outside. Get adequate calcium and vitamin D—from food and/or from supplements. 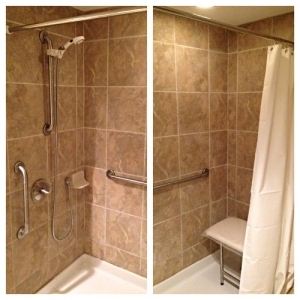 Family Safe Homes Provides Custom Grab Bar Installation. We have a wide selection of ADA Approved Grab Bars to choose from to match your decor. 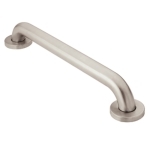 From a 12″ Hand Grab Bar, to a 24″ Shower Grab Bar to a 42″ Hallway or Toilet Grab Bar. 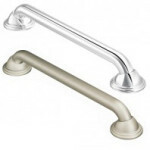 Stainless Steel Grab Bars, White Grab Bars to decorative Antique Grab Bars, we have the finish to match your home. 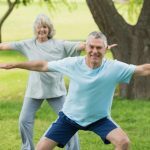 Following some simple lifestyle changes can reduce the risk of falls and disease and increase mobility and improve physical and mental health. Burns are a leading causes of home injuries, according to the NCIPC. Burns are caused primarily from fires. Older adults are killed in home fires at twice the rate of society as a whole. Properly installed and functioning Smoke Detectors can Greatly Reduce this Risk. Protect your heart. Heart disease is the leading cause of death in both men and women. According to the American Heart Association, most heart attacks in women occur in the 10 years after menopause. To reduce your heart disease risk, know your blood pressure, total cholesterol, LDL, HDL, triglycerides, fasting blood glucose, body mass index (BMI) and waist circumference and keep them within a healthy range. Being physically active is vital to maintaining health and independence as we age. Moderately fit women and men had a 50 percent lower risk of type 2 diabetes, hypertension, coronary heart disease, obesity, and some cancers when compared with their low fit peers. Exercise, good nutrition, regular health screenings, getting vaccines, having enough sleep, and participating in activities you enjoy are just a few ways to promote healthy aging. See your health care provider regularly for check-ups, health screenings and diagnostic tests, and immunizations. Recommendations vary and are affected by several factors, including overall health. 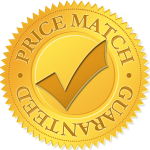 Call 760-500-1400 or eMail us TODAY for a FREE Quote. Serving: San Diego, Oceanside, Carlsbad, Encinitas, Solana Beach, Cardiff, Del Mar, La Jolla, Rancho Santa Fe, Fairbanks Ranch, Carmel Valley, Santa Luz, Point Loma, Pacific Beach, Mission Beach, Ocean Beach, Scripps Ranch, Tierrasanta, Poway, Rancho Bernardo, 4S Ranch, Rancho Bernardo, San Marcos, Escondido, Fallbrook, Temecula and other San Diego Cities.